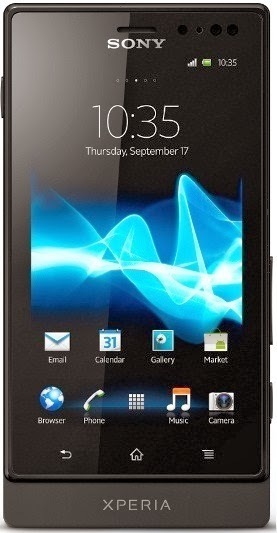 Sony Xperia Sola was released back in 2012, but is still now popular because of its some specifications and price range. The device has minimum requirements for running Android 4.4.2 KitKat in a mobile phone. I thought of writing an easy tutuorial for you guys so you guys can upgrade your GingerBread device to latest Android 4.4.2 Kit Kat OS. Xperia Sola has decent specifications like 5 Mega Pixels camera, 1 Ghz Dual Core Cortex-A9 processor, Mali 400 GPU, which makes it actually a gaming phone. Mali 400 is one of the best affordable graphic cards for android mobile phones and it is far better than Adreno 200 and Adreno 203. Also, it can record videos up to 720p HD with 30 FPS. The bad thing or cos I found in this device is the chipset, but its not too bad, just talking that if it was SnapDragon then it would be better. Not talking about the specifications of this device, I will move to the ROM, that is CyanongeMod 11 ROM. We all know about cyanogenmod ROM these days that the ROM is highly customisable, stable, fast and a secure ROM. But what are the features that stock android doesn't provides us? These are FREE Anonymous data usage or incognito mode, DSP Manager, Focal Camera application, CyanogenMod Toolbox or in short, the customisable settings etc. There are many features and that's the reason that the ROM is the best in custom firmwares for android. After downloading and flashing the ROM in your Xperia Sola, you will get to know about this too. I hope you are a rooted user, because if you are not rooted then you cannot flash the ROM. Also I hope you reached here because you have ClockWorkMod Recovery or any other custom recovery? If NO then please search how to root Sony Xperia Sola and How To Install CWM Recovery in Sony Xperia Sola. After rooting your device, you can follow the steps which are mentioned here. Let's start our journey with the requirements! Make sure you are a rooted user and have CWM installed in your handset. Don't install/flash this ROM on any other device because it may result in bricking up. Don't flash the ROM until you make a proper Nandroid backup with all partitions backed up. The ROM will take atleast 1 minute to boot up because the Firmware will build its file and all so don't panic and shut the device off. Don't follow anything which is not mentioned in this article. Download the ROM and Google Applications on your PC. Move it to SD Card of your Sony Xperia Sola. After rebooting it to the CWM or any other recovery, select Backup and restore and select Backup to make a full backup of your current ROM. Select Wipe data/factory reset from the main menu to wipe the user data. Select Advanced and select /format system option to format your System partition. Now, select Wipe dalvik cache in advanced. Finally, select Flash a zip from sd card from the main menu and select your ROM which you recently downloaded and moved to your SD Card. Confirm the flash and wait for some time. Again, select Wipe data/factory reset option. [Optional!] Flash Google Apps by selecting Flash a zip from sdcard and confirming the flash. This boot will take more time than the usual backup because the CyanogneMod 11 or Android 4.4.2 Kit Kat ROM is building dalvik cache, data, and other required files to boot the system. It will not take more than 1-2 minutes. If it is stuck anywhere, then pull the battery of and reboot to recovery. Wipe the data again and then reboot.